What is an IP license? An IP license in its simplest form is an agreement where an IP owner (the Licensor) permits another person (the Licensee) to engage in activities that, in the absence of the IP License Agreement, would infringe the Licensor’s legal rights attaching to the IP. In return, the Licensee pays the Licensor a fee or confers some other benefit. It is a written agreement that gives rights to do something that would otherwise be an infringement of the IP rights of someone else. A typical case may involve the Licensor granting the Licensee the right to make and sell a patented product perhaps worldwide and for the life of the patent(s). The Licensee agrees to pay the Licensor a royalty, defined as a percentage of Net Sales Value. The Licensor agrees not to make or sell that patented product itself, nor permit any third party to do so. There are a number of reasons why companies get involved in IP licensing, from minimizing the amount one pays in royalties, to ensuring that one’s competitors are operating on a level playing field, to generate revenue, or to drive technology development. A written agreement that gives rights to do something that would otherwise be an infringement of the IP rights of someone else. Strategic licensing, using in-licensing, is where the goal may be to decrease a company’s business costs or quicken the introduction of new technologies and is oftentimes focused on core IP. Tactical licensing, using out-licensing, is where the focus is on creating revenue and oftentimes involves non-core IP. Companies have traditionally sought to protect their IP, avoid infringement, and ensure design freedom. Their focus has been in creating and procuring proprietary IP, IP cross-licensing, and perhaps interoperability standardization involvement. However, that traditional approach is changing. Companies are trying to gain better value from their IP. There is more attention now on licensing IP, influencing the development of others and the industry, and litigating infringements. There is clear focus in this new paradigm in tailoring the scope of license agreements, the use of non-assertions, involvement in patent pools, and ecosystem involvement. There is more attention now on licensing IP, influencing the development of others and the industry, and litigating infringements. An exclusive license is one where the Licensee has rights to exclude all others, including the IP owner. A sole license is one where the Licensee has rights to exclude all others, with exception of the IP owner. A non-exclusive IP license one is, as the names suggests, one where the Licensor may license multiple parties. In a non-exclusive arrangement, the Licensor may use and license to more than one Licensee. An out-license is one where IP flows out and money or other benefits flow in. The opposite is true for in-licensing where IP flows in and money or other benefits flow out. Cross licenses are ones where IP flows in and out, and money or other benefits may flow in and out as well. Cross license is a bi-lateral IP license agreement where both parties license certain IP to the other party, for example to make certain products or services during a certain time period. A patent pool is a multiparty arrangement where patent owners empower a License Administrator to grant standard licenses to use certain technology under patents that are essential to implement the technology. A requirement for a successful pool is that it covers many licensors owning essential patents. Although patents have just been mentioned above, various forms of IP can and may be licensed from copyright, trade-marks, database rights, design rights, know-how, and patents. So the nature of the IP being licensed may vary from one agreement to another. What form does an IP license take? There is no standard IP license agreement, with each and every deal different although with many common elements. Many terms of the contract try to deal with the unknown future (“what-if” clauses) as lawyers instinctively try to avoid uncertainty. Different forms of IP will have some common and some unique features. IP licensing is a rather specialized area of law, requiring specific legal and interpersonal skills. The aim of any IP license should ideally be to achieve a win-win and a long term relationship between the parties involved. Many lawyers are not suited to licensing as it requires confidence, pragmatism, and business sense, with IP licensing being more an art than a science. Just getting these agreed can be half the battle! Many companies have dedicated licensing person(s) in place. Sometimes third parties will approach a company to request an IP license without being prompted to do so. However more often than not, companies have to proactively go and seek out IP licensees. This often requires dedicated resources. IP licensing is not always the best approach. IP licensing is not always the best approach. A company which is competitive in all of the key dimensions of business (product leadership, operational excellence, and customer intimacy) may better achieve its objectives by keeping its IP to itself and not engaging in IP out-licensing. Companies should also try to avoid IP in-licensing where the ownership, validity, and/or valuation of the IP in question is highly suspect or where the royalty rates are too high and may restrict the growth of the business. The valuation of IP is not a simple exercise and one may need to enlist the help of someone experienced in this area. How long is a piece of string? It can takes weeks, months, or even years to complete an IP licensing project. It very much depends on the IP maturity and sophistication of the parties involved and how close both parties are to one another at the start of the process. Unless all of the parties involved have a realistic idea of the scope of the IP license and the worth of the IP before they start to negotiate, the negotiations are likely to be time consuming, and may indeed flounder. The weaker party will almost always try to delay the process as some forms of IP have a finite lifetime. Pre-agreement costs are usually lower than post-agreement costs. The weaker party needs time to study and evaluate the stronger party’s IP and try to invalidate or work around them. The actual IP license itself may run for many years, for a fixed number of years, or for the life of the IP. IP license agreement management may involve the use of an IP license management tool, if the portfolio of agreements is large enough. A licensing agreement and contract management system can be configured to a company’s needs and the systems can support agreement processes such as approvals, reviews, renewals, and reports, including task assignments, alerts, and escalations. If one engages in IP licensing, then it’s most important to properly manage and maintain these agreements. The reality was that the Finance Department had no idea, no motivation, no interest, and no accountability to do the job they were supposed to be doing. Auditing findings can be most revealing. A recent audit case of some long-standing patent and know-how licences highlighted that almost every single licensee was in breach of its terms: either the fees being paid, when they were paid, how they were calculated, interpretation of what constituted Licensed Products(! ), territories included, no reports, or …worse still… all of the above! The reality was that the Finance Department had no idea, no motivation, no interest, and no accountability to do the job they were supposed to be doing. They were little more than a mailbox for some royalty cheques that occasionally turned up in the post which they took at face value without question, even if it was just a case of asking one question of someone who knew what the precise terms of the licence actually were! Many who engage in IP licensing lack a ‘fit for purpose’ process and supporting tool that would help the Finance Department and/or IP Licencing Managers to understand and know what to expect, when, and for how long from each of its Licensees. Notifications ahead of time and alerts when certain things have not happened would also be useful. The same is also true when the boot is on the other foot as a responsible Licensee, of course! Licensing IP is important to all sorts of businesses – not just those in the hi-tech sectors. Companies (and universities) can derive significant income from licensing, and licensing can offer flexibility in the way a business or organization develops. However it is easier said than done, and the right resources, a fit for purpose process, and good supporting systems and tools are needed to make it a successful business activity. One should be aware that there is much media attention on IP licensing at the present time. Much of this media attention has focused on so called “patent trolls” and their alleged abusive behaviour to attract excessive licensee fees. Less widely reported is that only a minority of those who need a license for IP belonging to others voluntarily and proactively seek to obtain one. We are also increasingly seeing potential licensees using abusive practices to avoid payment for valuable patents they practice, seeking to weaken patent protection to reduce their costs. Those serious about IP should not approve of either of these practices as the legitimate exercise of the rights of IP owners of breakthrough technologies is vital in ensuring the flow of innovation and consumer choice. 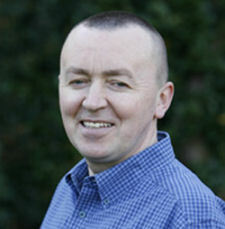 Donal O’Connell is the Managing Director of Chawton Innovation Services, a firm which offers consultancy in the areas of innovation and intellectual property management, and also licenses a number of IP software solutions to clients. Previously he enjoyed a 21-year career at Nokia, where he had such roles as VP of R&D and a Director of IP. He’s an Adjunct Professor at Imperial College Business School in London, teaching about IP management. He is also the author of two books, “Inside the Patent Factory” and “Harvesting External Innovation”, along with hundreds of papers which have been published in magazines, websites, and blogs around the world. This entry was posted in Uncategorized and tagged Donal O'Connell, IP Clinic, Tech Trailblazers Awards. Bookmark the permalink.